How have my friends sent this text to me? Prank? Discussion in 'Community Discussion' started by kiawill91, Dec 22, 2014. 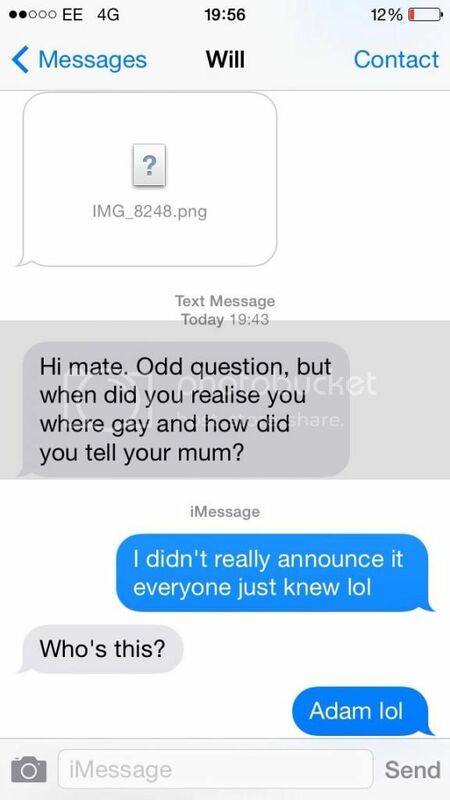 He then sent me the below print screen as he claimed I text him first saying "Hi mate odd question, when did you realise you were gay and how did you tell your mum"
100% I never sent that text and no one in my household sent it either!! Confused? You seem to have declared your preferences! Sorry couldn't resist! Sure neither of you let your phones out of your sight? Especially if you had a few? It's called SMS spoofing........google and you'll find websites where you can send a message that appears to be from whatever number you want. 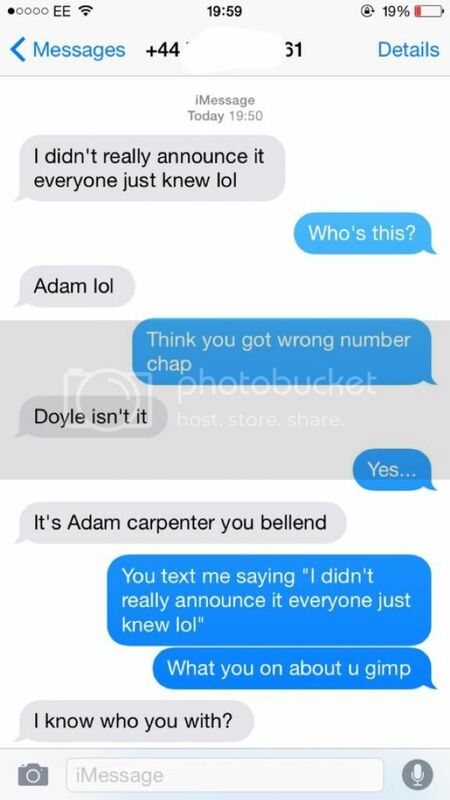 Whilst trying out different carriers a few years back, I had a very enjoyable day at the office spoof texting people. As a known prankster, I was of course under suspicion. To throw them off I swapped phones with a colleague to continue the rues.